Every new History Wardrobe book or presentation draws on as wide a range as possible of sources – eyewitness accounts & household accounts; popular & academic publications; original garments and fashion plates. This year I took out a subcsription to the Costume Journal. Previously I’d tracked down used copies on the internet or (happy day) on a neglected shelf at Alnwick’s incomparable Barter Books. My copy of the CJ usually arrives just as I’m about the hit the home run of a deadline and the trouble is, other people’s research is endlessly sedcutive. As a further tool for distraction, the CJ are offering free articles online. I dipped into their current free selection and picked up an interesting article about Princess Margaret and Christian Dior by Beatrice Behlen. Despite a climate of austerity in post-war Britain, the royal Princesses were as eager as many young women to adopt Dior’s New Look styles, which harked back to the full skirts of World War One and, before that, to the hourglass shape of the 1850s. Princess Margaret famously added width and length to an existing coat by increasing the number of nutria fur bands. I was once approached by a lady in the audience of a History Wardrobe presentation on the 1950s who said she had an original 1950s Dior gown in her attic and would we like it? Sadly, it never materialised, but I later acquired a Dior licensed dress . 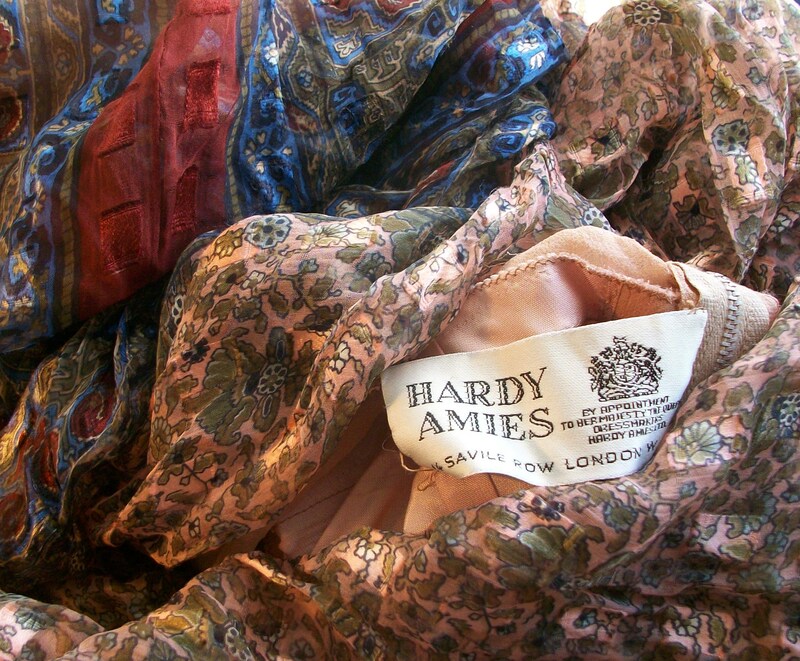 It will be on show during a performance of Fifty Years of Fashion at Tullie House Museum & Art Gallery on Wednesday January 23rd at 7.30pm along with many other fabulous gowns, both everyday and ‘designer’ – including the gorgeous iridescent silk dress by Hardy Amies featured with this post. Our event at Tullie House Museum links with their stunning new costume exhibition, entitled Hartnell to Amies Couture by Royal Appointment. So… let us be seduced by research in all its glorious manifestations!